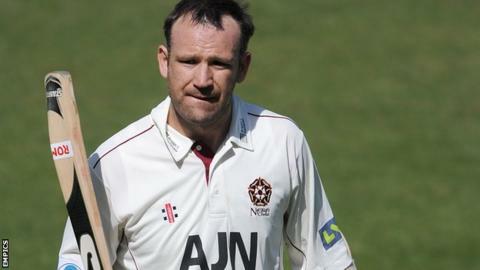 Northants' James Middlebrook will leave the county at the end of the season. The 37-year-old all-rounder is the county's top run-scorer in the County Championship this campaign, with 777 runs in 15 matches as Northants suffered relegation from Division One. He who have also been told they will not be offered new contracts. Long-serving Northants batsman earlier in the summer. Middlebrook began his career at Yorkshire before going on to spend seven seasons with Essex prior to joining Northants in 2010, with whom he won the FLt20 last year. "I would like to thank the Northants members who have made me feel most welcome during my time here and all the team-mates with whom I have shared a dressing room," said Middlebrook. "I wish them every good fortune as I now focus on the next stage of my career."